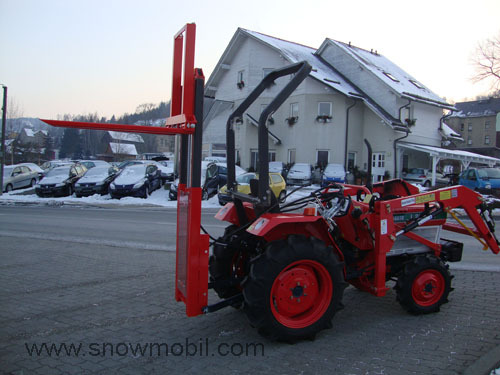 1.950,00 EUR 19 % VAT incl. The payload is 700 kg. 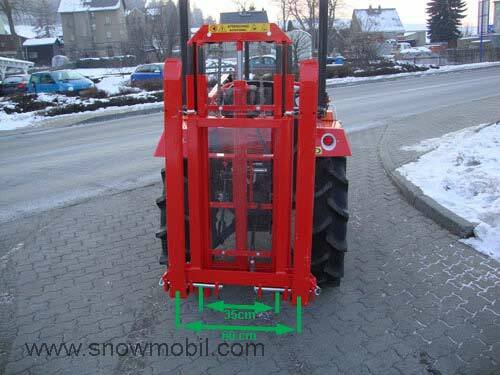 The weight of the Rear stacker is 170 kg. The max. 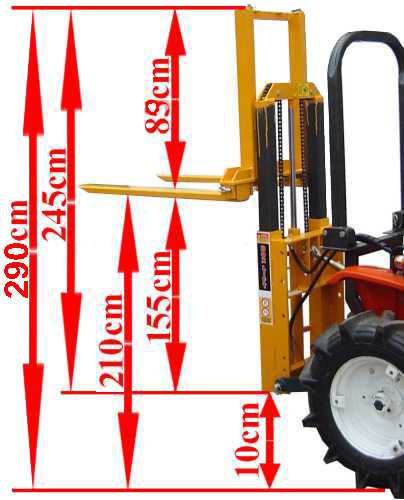 Lifting height is 180 cm. 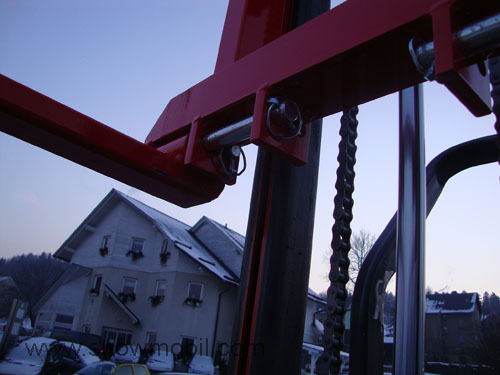 By default, included a set of hoses with quick connect couplings here, but no control valve. 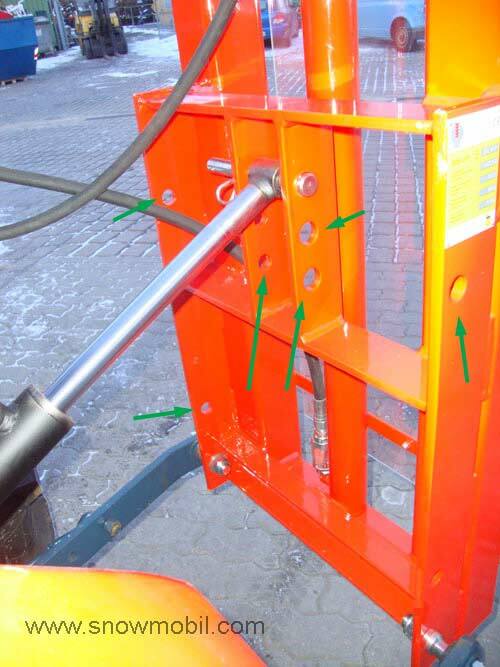 The loading forks are foldable and adjustable. 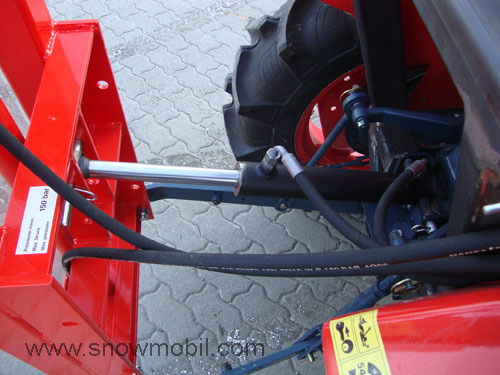 The cylinder is double acting with lowering throttle. 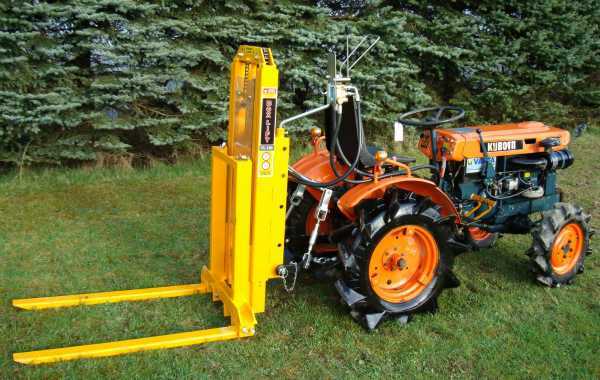 The rear stacker is designed for the rear three-point hitch KATI. 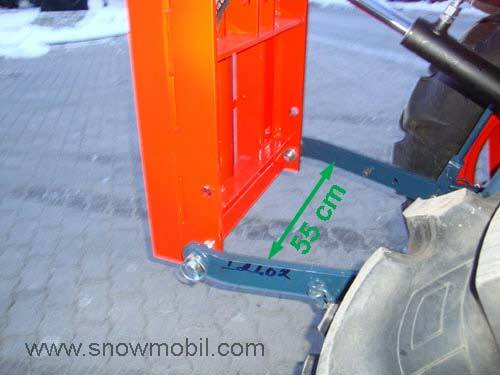 The pallet forks have a length of 108 cm and are adjustable 2x in width.